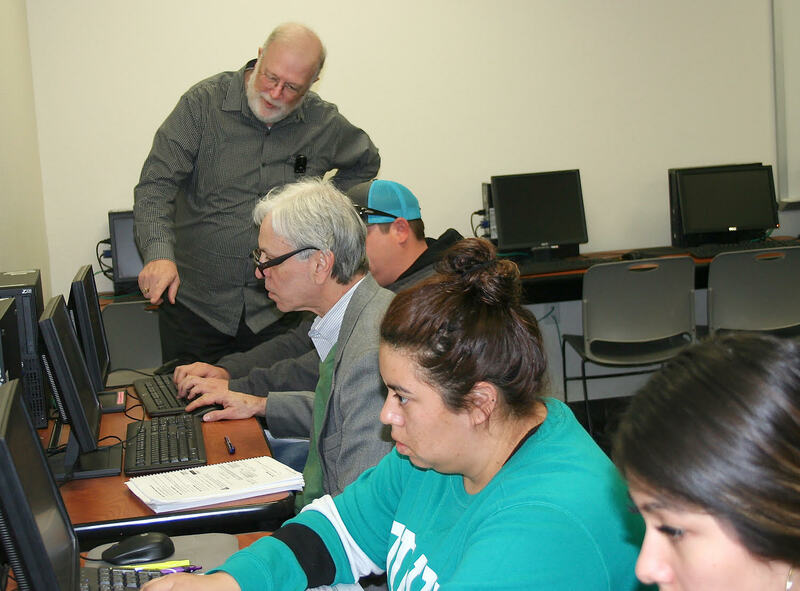 Small Business Development Center Counselor/instructor Jim Struwe assists students in a level one Quickbooks continuing education course in the PJC-Sulphur Springs Center computer classroom. The students include, from the top, Justin Lopez, Chuck Superville, Maria Yanez and Alondra Ledesma. For information about other classes, call 903-885-1232.